The Who have added a series of shows to their upcoming North American tour. 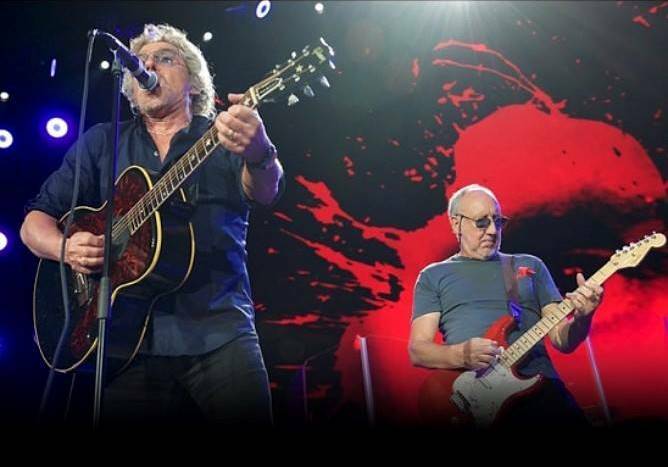 Following news of their August residency at The Colosseum at Caesars Palace in Las Vegas, Roger Daltrey and Pete Townshend have extended their schedule with a series of dates in July. Set to begin with an appearance at Festival d'Ete de Québec in Quebec City on July 13, The Who have just announced a July 20 show at the Mohegan Sun Arena in Uncasville, CT.
A Who fan club ticket presale is on now with general public seats available April 21 at 10 a.m. EDT. The 2017 dates mark the 4th year of the band’s ongoing farewell tour, which began in 2014 to mark The Who’s 50th anniversary. On June 2, The Who will release “Live At The Isle Of Wight Festival 2004”, which captures their first performance at the event since 1970.